Avaaz - Free Aung San Suu Kyi! To UN Secretary General Ban Ki-moon: The military government must immediately and unconditionally release all political prisoners including Daw Aung San Suu Kyi, Khun Tun Oo and Min Ko Naing. The release of all political prisoners is the first and most important step towards freedom and democracy in Burma. We, the undersigned, call upon UN Secretary-General Ban Ki-moon to make it his personal priority to secure the release of all of Burma's political prisoners. 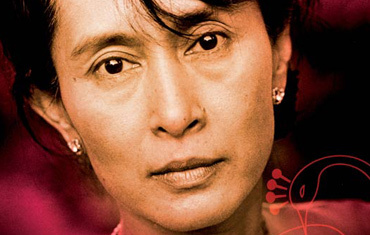 Nobel Laureate Aung San Suu Kyi is seriously ill, locked up by the brutal Burmese regime on new trumped up charges. This cruel maneuver comes days before her 13 years of detention expires and will keep her jailed until after the 2010 elections. The only 'crime' she committed was to peacefully call for democracy. Burma's brave democracy activists are calling on UN Secretary General Ban Ki Moon to secure all 2,100 political prisoners release -- he can make this a condition of any renewed international engagement. We have just six days to get Ban Ki Moon's attention -- the petition will be presented on May 26th. Sign the petition below and forward the email.